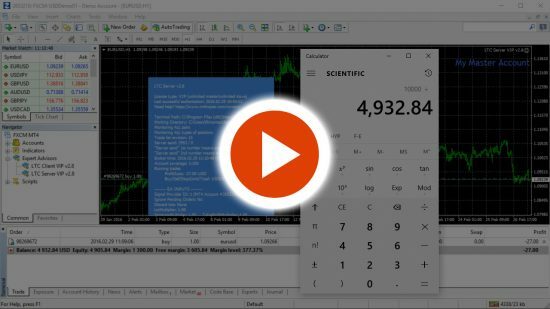 In this video I demonstrate how to install Local Trade Copier on MetaTrader 4 platform using auto-installer or copying files manually to the right folder. 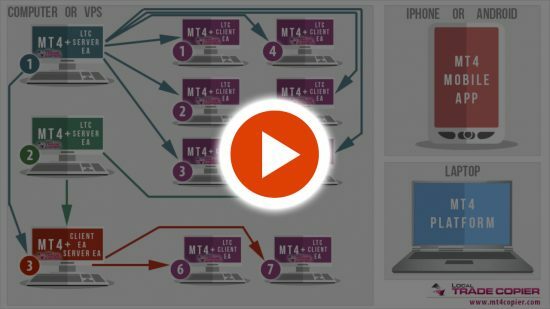 In this video I demonstrate how I copy trades from one MetaTrader 4 account into other 3x MT4 accounts using the Local Trade Copier. In this video I demonstrate how you can set the Local Trade Copier Client EA to allocate just a portion of your account size to calculate proper position size. In this video I demonstrate how "Stop & Close" security feature works on my Forex trade copier on the MetaTrader 4 platform. In this video I demonstrate how to set the MT4 Trade Copier Client EA to close all trades and stop copying new ones after all open positions on the account reaches certain level of profit. In this video I demonstrate how to set the Local Trade Copier Client EA to close all trades and stop copying new ones after all open + closed positions on the account reaches certain level of profit. In this video I explain how you can still copy trades with the Local Trade Copier when symbol/instrument names are different between MT4 accounts and even different brokers. This video demonstrates how to change trade instrument during copy trading. In this example I turn EURUSD trade into USDCHF trade using Local Trade Copier.